Experience luxury like never before at Villa Mayurana near Ahangama and Koggala beach along the pristine southern coast of Sri Lanka. 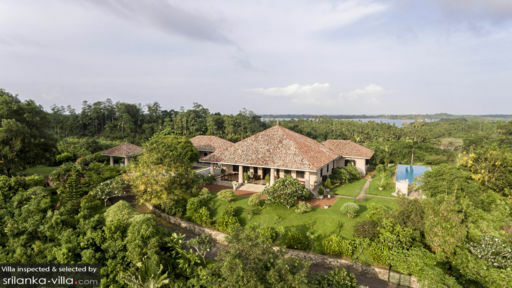 Villa Mayurana displays an alluring, colonial-style antiquity that comes through its magnificent, old-style interiors. With four bedrooms, expansive lawns, outdoor / indoor sitting, and luscious views of the cinnamon estate, the villa will leave you speechless from the moment you step inside its doors. The surreal views across the majestic Koggala Lake and the vicinity to the amazing beaches in Sri Lanka will make this holiday your best one yet. The four bedrooms or suites at Villa Mayurana are somewhat identical with stunning four-poster, king-sized beds draped with opulence. The luxe interiors are fit for royalty with hardwood furniture, traditional woven rugs and bed runners, luxurious colours, and an old-world charm. Each bedroom is named after a colour – Yellow Suite, Red Suite, Orange Suite and the Grand Suite. Villa Mayurana is a luxury boutique hotel that prides itself in providing guests with a breath-taking experience. 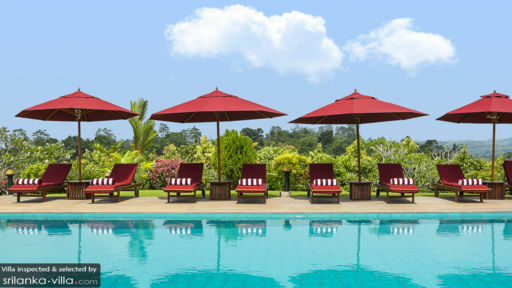 On the same note, the villa has not one but two swimming pools – one of which is a 20-metre infinity pool with awesome views across the horizon spanning beyond luscious cinnamon plantations. Since the villa is nestled amid a cinnamon estate, the heady aroma will engulf your senses as you laze on the sunbeds, rest under the tree that stands tall in the centre of a red pebbled ground and dine on the luxurious alfresco dining area. Whether you are travelling with kids or otherwise, there is so much room on the estate that everyone can enjoy their own space. This is a family-friendly hotel with modern comforts wrapped inside colonial walls. The villa has a terrace that wraps around it where guests can lounge on the slingback chairs, relish a cup of freshly-brewed coffee, and gaze out at the luscious gardens. There are ornamental ponds and beautiful, native flora all around. Get transported back in time as soon as you step inside the opulent and antiquated living area. Featuring sconces that line the walls, intricately-carved woodwork, leather sofas, walnut brown bookcase, display cabinets and other intriguing knick-knacks, the living area is straight out of a luxury magazine. From the handwoven carpet to the framed textiles, the living area is awash with stirrings of the past. Luxury in its most refined form is what you can expect at Villa Mayurana. An entire space is dedicated to the dining area with a one of a kind black-polished dining table and seating for ten guests. Black-and-white photographs grace the walls while you can enjoy views of the gardens and the swimming pool. Villa Mayurana extends first-class amenities and services to its guests that includes everything from housekeeping, security, pool/garden maintenance, to the use of a gym and spa. Other amenities that are offered on an additional cost include a private chef to prepare lunch or dinner in the five-star kitchen whereas a complimentary breakfast is served each morning. You can rent out cars or bicycles to explore the cinnamon estate and nearby areas. 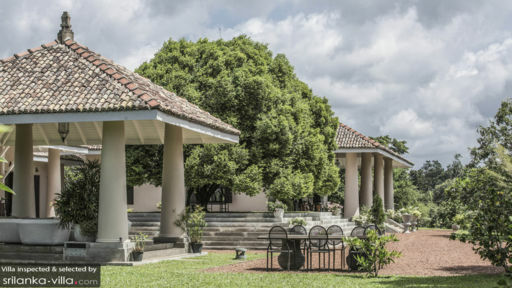 There is so much you can see around Villa Mayurana as it is a short distance from the major beaches in the Galle district such as Mirissa and Thalpe. The Koggala Lake is close by as well so you can take leisurely walks to relish some fresh air and wonderful views.